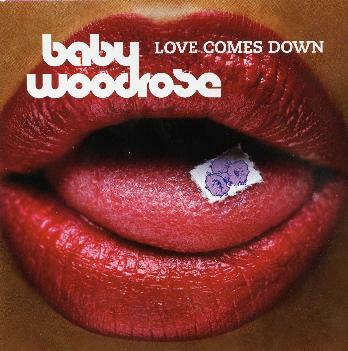 Baby Woodrose - "Love Comes Down"
Guf and company are back with their best record ever! The production sound and the quality of songs and that reliable 60's influence make this a great record. The band comes out rocking straight away rocking hard and Guf lights up some fire with his guitar solos on What Ya Gonna Do, which features some cool female backing vocals and harmonica as well. Found My Way Out is another rocker before the current single, Kitty Galore, which is built on a real simple up and down guitar riff and a catchy chorus and cool organ playing. No Other Girl sounds very much like an On Trial song (and maybe was a demo for Blinded by the Sun??). Lights Are Changing really reminds me a lot of LOVE. Growing Younger has some beautiful 12 string electric guitar and is very 60's inspired. Nice track. All Over Now is a very organ based track and again really a throw back to the 60's. Chemical Buzz was a track the band played a lot live over the past two years but it is really different here as Guf has put in a prominent organ line and some effects on the vocal. Christine sounds like it could have been recorded in 1968, with a real authentic sound and feel of that era. Do Right brings back the hard rockin' fuzz guitar for about 2 minutes. There are only 3 songs on this CD that break the 3 minute barrier. Just like the singles of the 60's, most songs are between 2 and 3 minutes. Born to Lose is probably the hardest rocker on the record and quite a cool song. Roses is next and probably my favourite track on the CD and the only really psychedelic track on the record and very influenced by the 13th Floor Elevators. Nobody Knows takes us back to the sound of LOVE. The CD ends with the beautiful and amazing title track. If you liked the debut Baby Woodrose CD you will really love this one. A classic..
For more information you can visit the Baby Woodrose web site at: http://www.babywoodrose.com.